AT 6 PM sharp, I entered the competition rooms to take pictures. 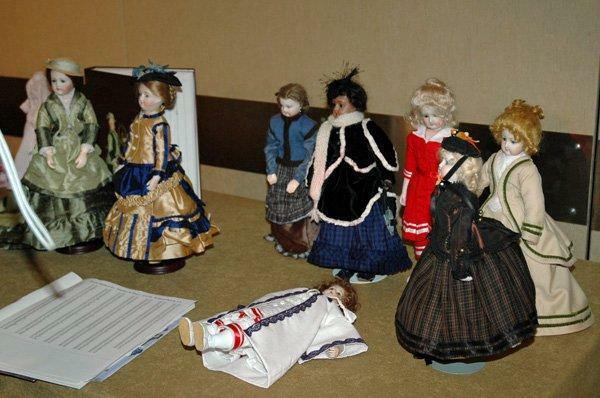 I did not know where to start, so I took pictures of those dolls that really interested me for some specific reason. Each table, each category, had a mystery and a beauty, all of them were wonderful. I read an article once; today I cannot remember the particulars, of a woman who purchased an antique needlework sampler. 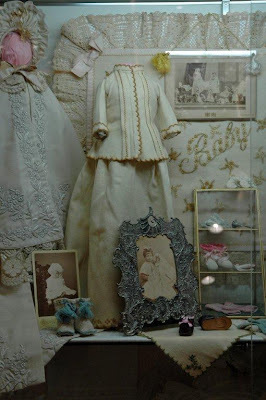 She became curious about the maker and made her work to expose the child and tell of her life. When I look at the dolls we revere, I think of the “child” who received the doll as a plaything. 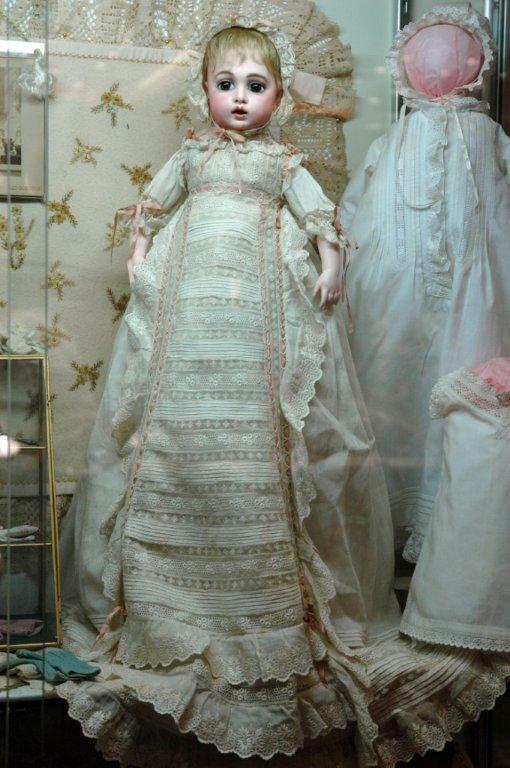 What happened to her, why is the doll here today, what history is there to explore? 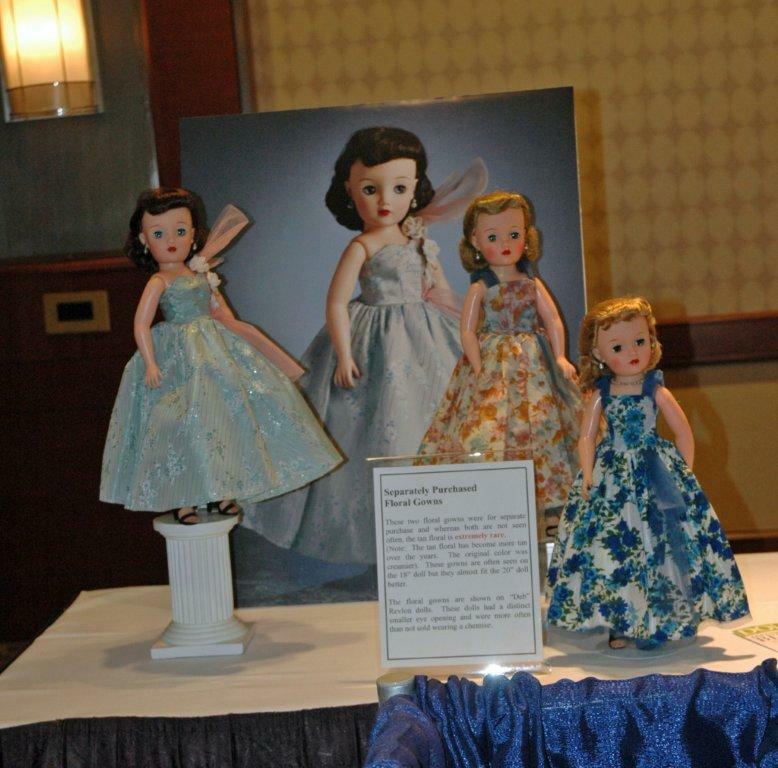 Vintage and contemporary dolls today have quite a recorded history. We understand our own history. 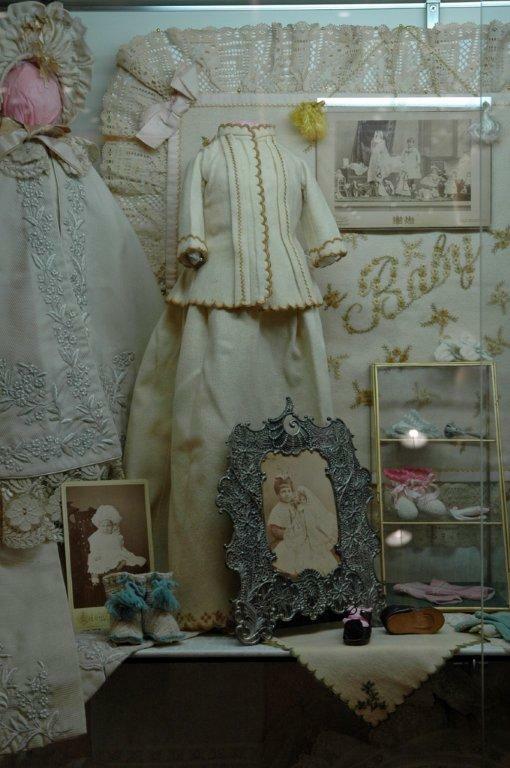 The pictures I took are pictures of beautiful dolls, an interesting detail, an idea to remember, something I learned this week. One picture I will share today is of the “Study Set”. I had to ask Susan Sirkis, see meet an idol; make a friend, what a Study Set was. 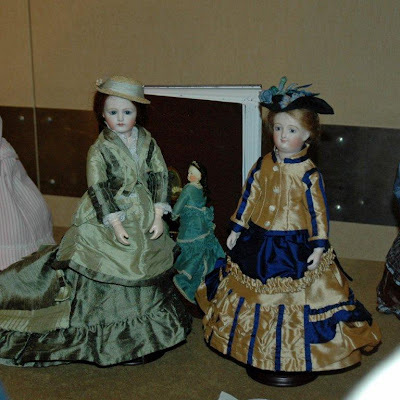 She explained that sometimes there comes along a collection of things that are as complete and valuable as a set that a special case is set up just for this viewing. What an opportunity for people to see this exquisite set. 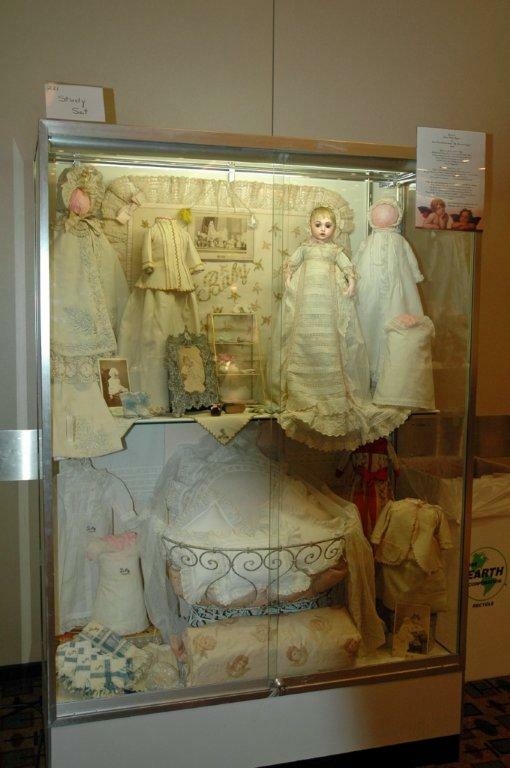 The case contains a nursing Bru and quite an extraordinary layette. Susan tells me there is often a slide program or video of these sets that go into more detail. I cannot remember exactly, but I believe I read in “Antique Doll Magazine” (or possible another periodical) more about this particular set. Please enjoy my photos, as the set is quite possibly the most exquisite set of sewing you will see for quite some time. The photographs do not do justice to the beauty. Time’s Up! At 6:30, I photographed the Special Exhibits. I made my way through those exhibits as well. 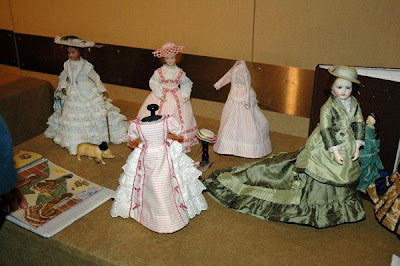 This year my own sewing for the French Fashion Doll, Ultimate Fashion Doll by Alice Leverett Henderson had joined the table with other fine dressmakers. I attended the “Around the World with BJD’s” program and learned so much about the new sensation in modern dolls. 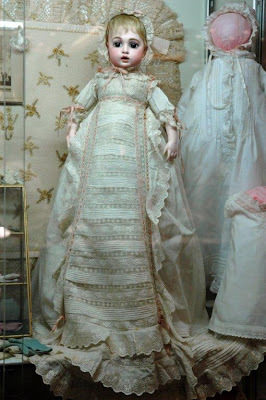 Ball Jointed Dolls, which I discussed in a previous post, are a fabulous medium for dressmakers to free themselves of the constraints of antique fashions and let the imagination soar. I intend to make time for the one I purchased earlier in the week. I think I learned a new doll language in about an hour and many questions answered. 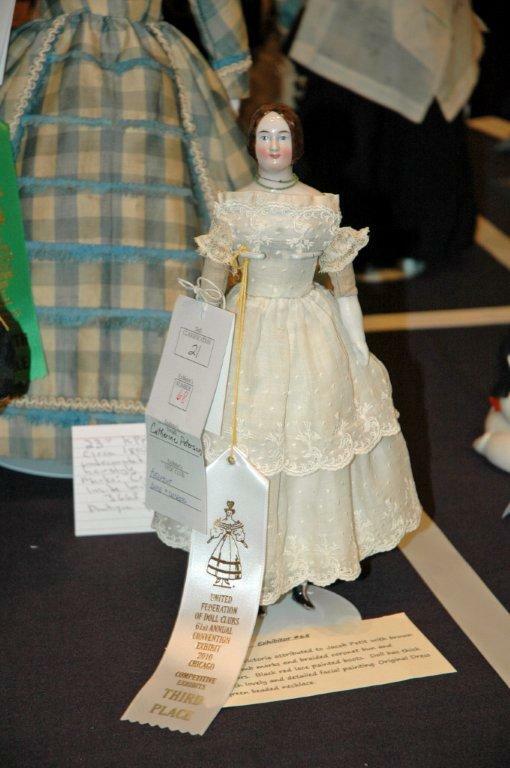 “The Gathering for the Ultimate Fashion Doll was to end my excitement for the day. The room filled to Standing Room Only of doll collectors. Fashions and books were on display. Alice presided, among others, over us all. A quick game of Jeopardy pitted left of room against right and all had great fun. I buzzed out of the room quickly as I needed some sleep. Out the door, down the hall, around the corner and up the escalator I went. Up another escalator and another, to the elevator I progressed. I took a chance and mashed (pressed for no-southerners) and oh, my word, an empty elevator! I stepped in and waited. The door closed and zipped me to my floor, what a quiet closing to a busy day. I called my husband, read a chapter in my book, and then precious sleep. Tomorrow is another day!